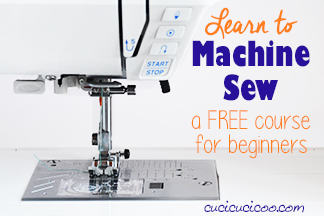 Do you have a young child? Sick of him or her making a mess everywhere? Sick of going out just to realize that your shirt is all dirty? Yeah, I hear your pain. I went through that, too. Or perhaps a good friend or loved relative is having a baby and you just don’t know what to give her? 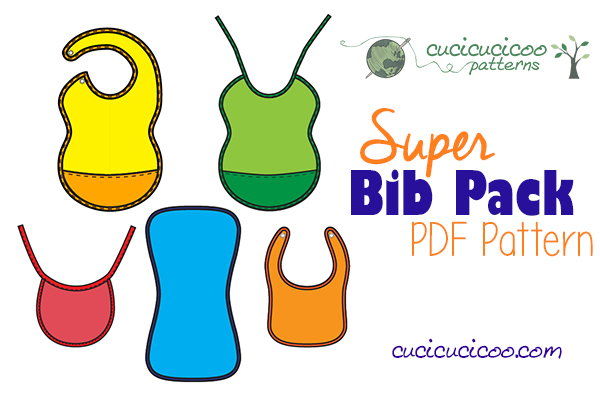 Well, I’m here to answer your prayers, because today I’m introducing the new Super Bib Pattern Pack by Cucicucicoo Patterns! 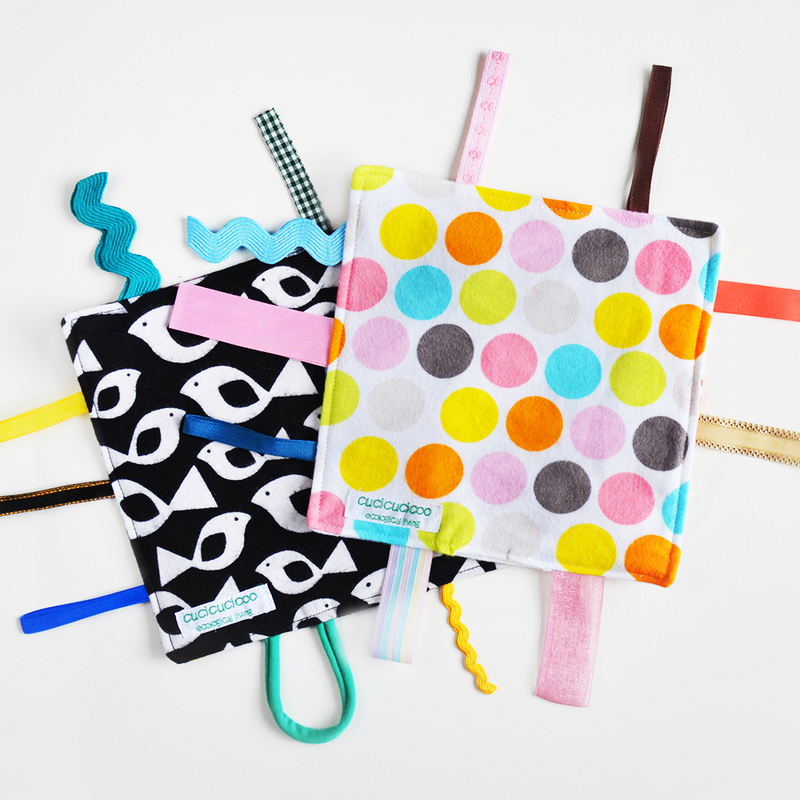 This pattern package has every bib option you could possibly want to keep both you and baby clean! 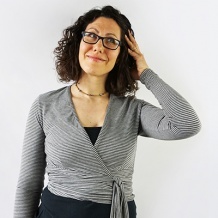 There are two sizes (infant and child) that are best for catching drool or for eating, and two main styles (snapped or tied), plus a burp cloth. 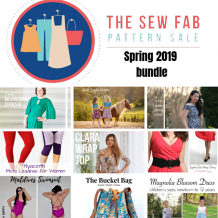 All styles and variations can be sewn in two different methods, with or without bias tape, making it absolutely perfect even for beginner sewists! 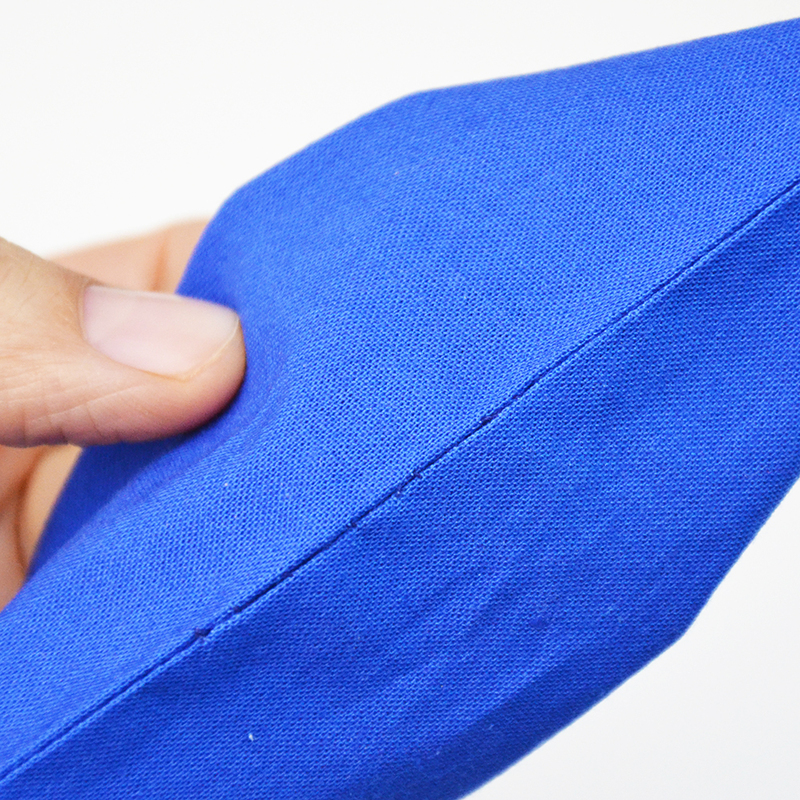 Tired of picking food bits off of your child’s legs, the chair and the floor? 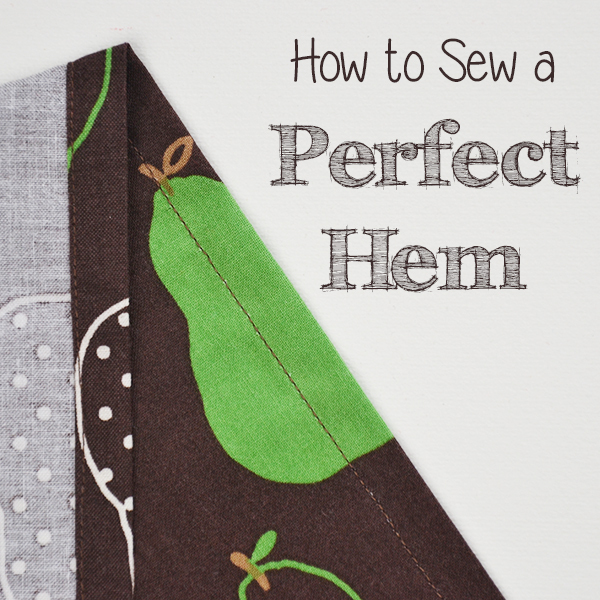 You’re in luck, because this is a bib pattern with pocket that is perfect for catching the food that doesn’t quite make it into munchkin’s mouth! 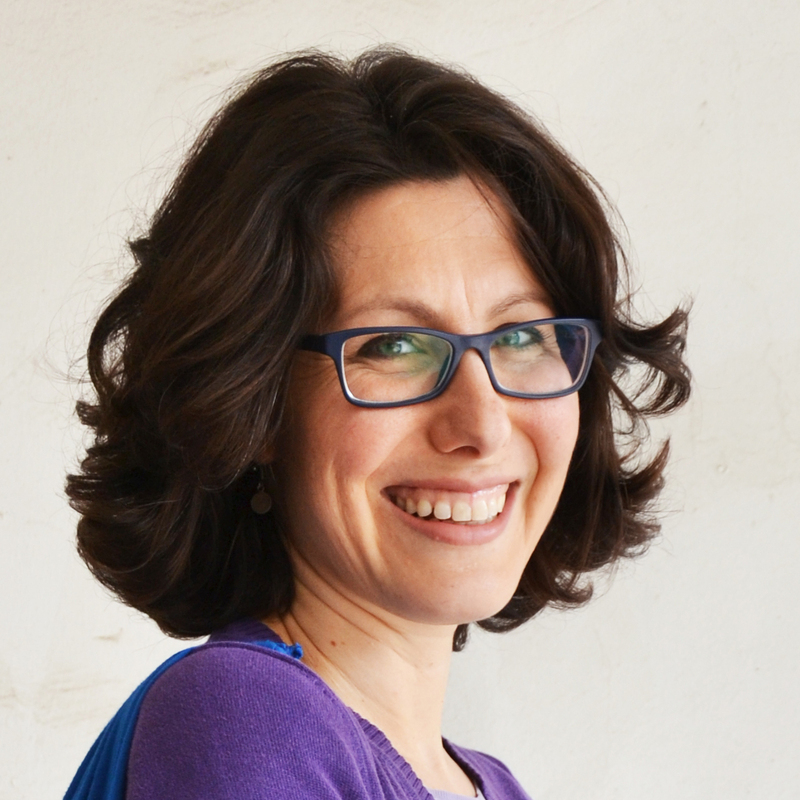 And there are other great variations, too! 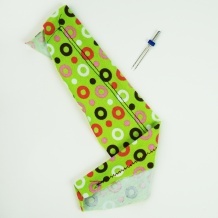 For example, the double-face option allows you to showcase two fabrics and even put two pockets if you so desire! 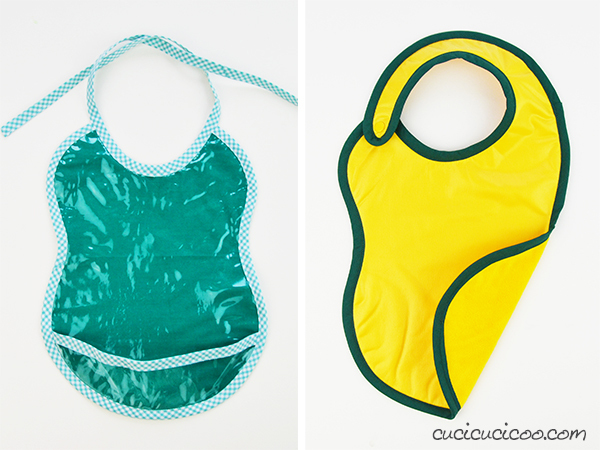 The wipeable version (left) is perfect if you like to use a bib more than once before washing it. 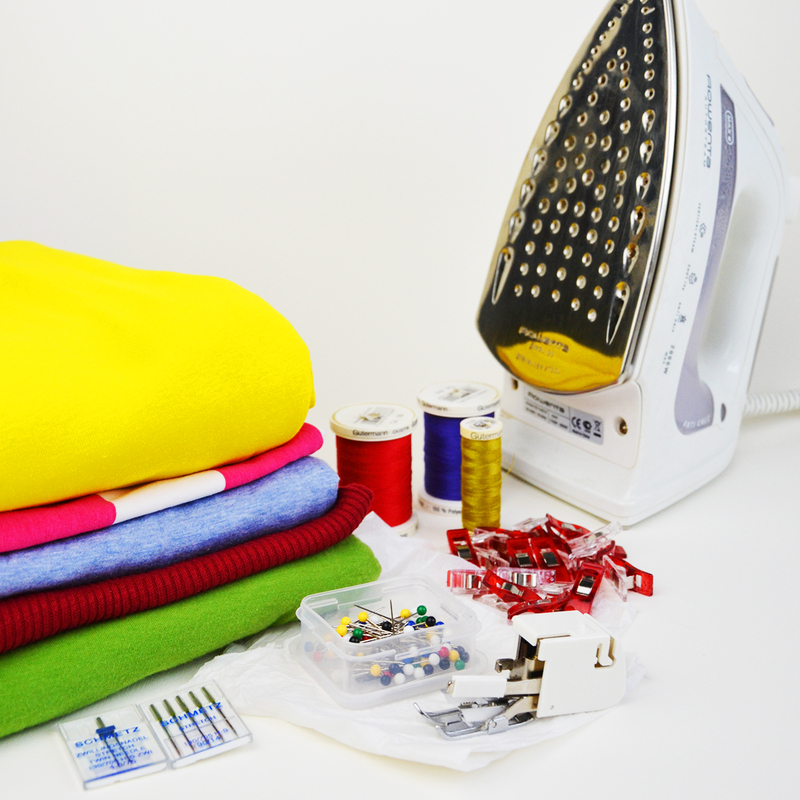 Just wipe it down with a damp cloth! 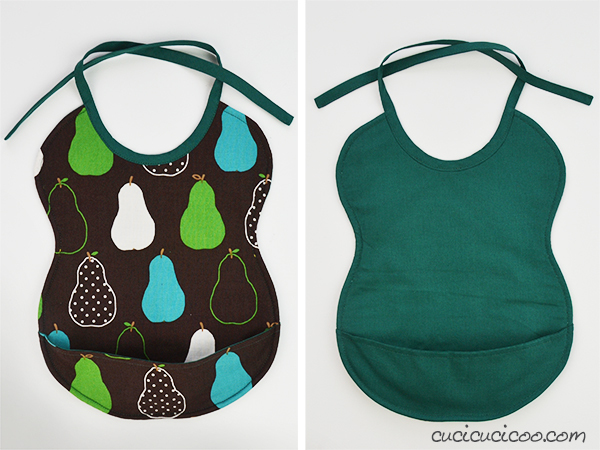 The waterproof version (right) gets washed like normal, but the waterproof barrier keeps you from having to change baby’s soaked shirt every time she eats! Want an added tongue-in-cheek touch? 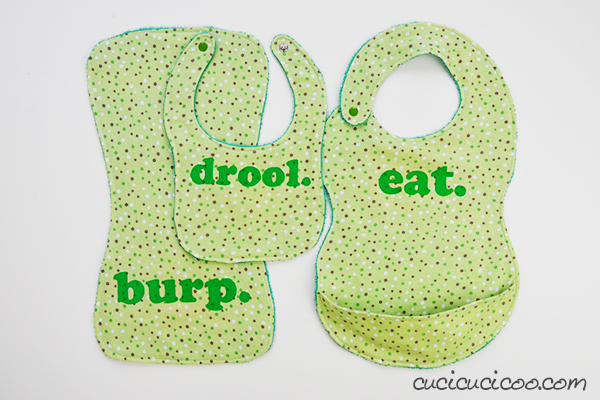 There are additional templates for freezer paper stenciling or appliqueing words onto the fronts of the bibs! 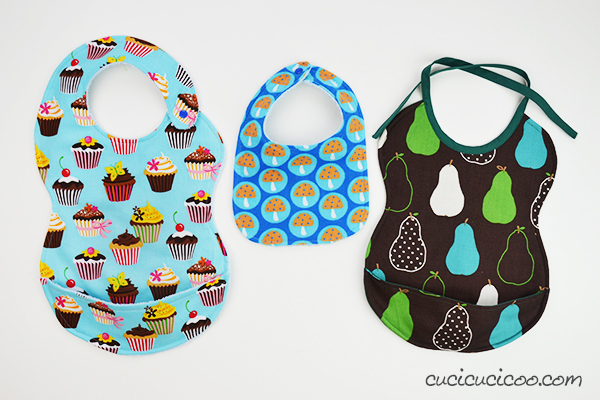 Seriously, this bib pattern pack has everything! 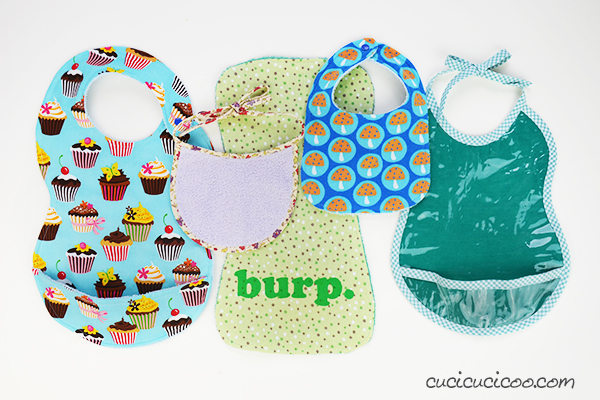 These bibs are a great way to use up scraps and even repurpose towels and old clothing! 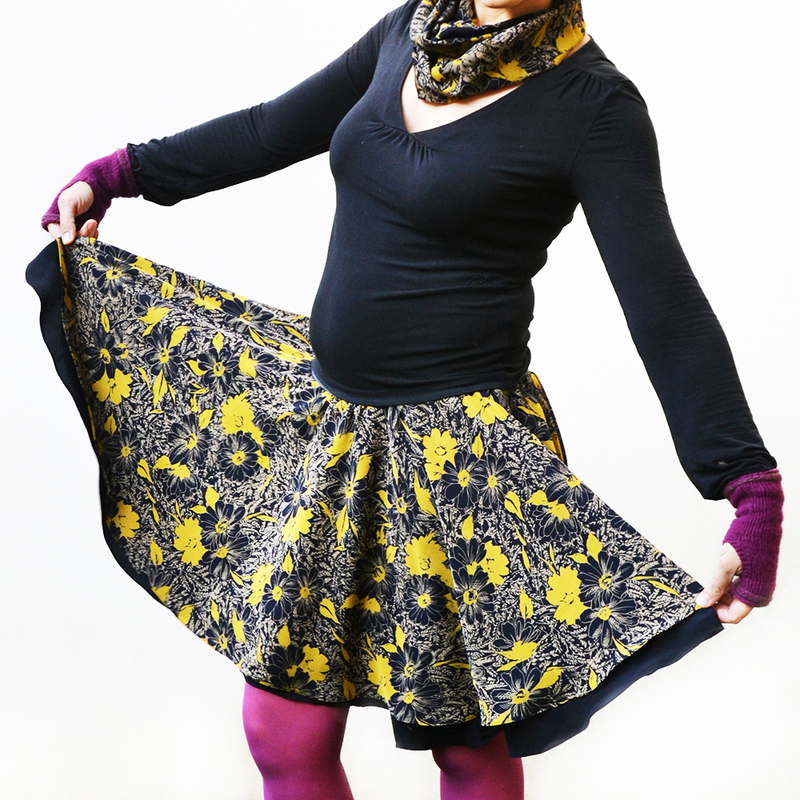 So head on over to the Cucicucicoo Patterns shop and get your copy of the pattern right now! 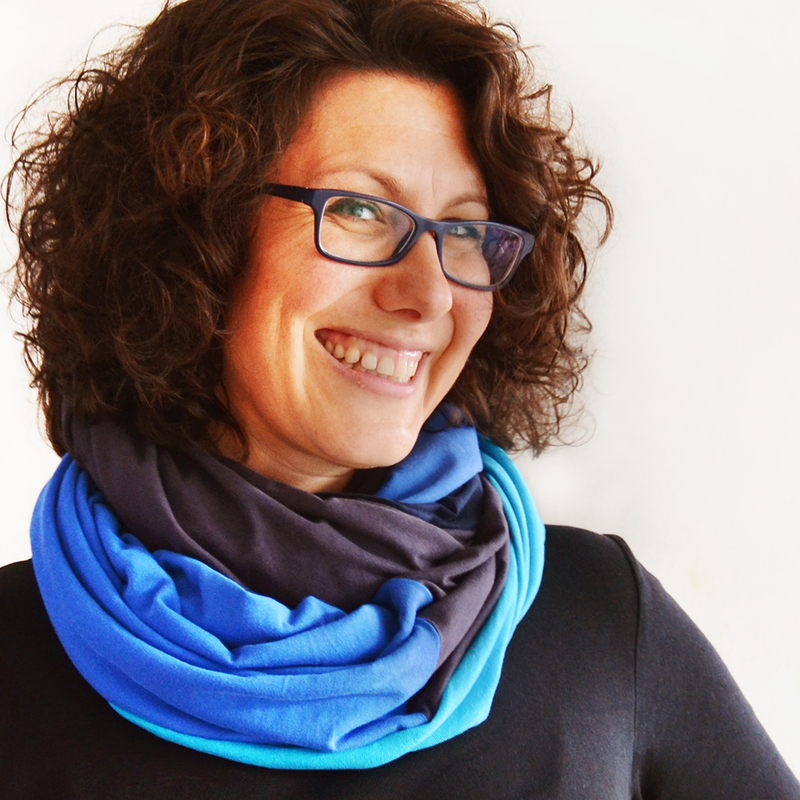 Next articleSuper Bib Pattern Pack – testers’ versions!